This apps provides Longest Rail Tunnels In the World. The 50.5km long Channel tunnel, located on the English Channel in the UK and France borders, is the longest undersea rail tunnel in the world. It connects Folkestone in Kent, UK, to Coquelles in Pas de Calais, France. The tunnel was opened for operations in 1994 after nearly six years of construction and cost $14.7bn. It recently won the Global Engineering Century Award by the international federation of civil engineering consultants, FIDIC.The two terminals are linked by three tunnels, including a 9.3km underground tunnel in UK, 38km undersea tunnel and 3.2km underground tunnel in France. In addition there is a service tunnel which allows access to maintenance and emergency rescue teams. The three rail tunnels have a diameter of 7.6m, whereas the service tunnel has a diameter of 4.8m. A total of 11 tunnel boring machines (TBM) dug the tunnel, which runs 40m below the English Channel.The UKs first high speed railway line High Speed 1 links central London with Europes rail network through the Channel tunnel. Eurotunnel (ET), a joint bi national company formed by Channel Tunnel Group (UK) and France Manche (France), owns and operates the tunnel. 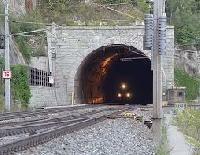 Lotschberg Base Tunnel, built through the Alps in Switzerland, is the third longest railway tunnel in the world. The 34.6km long tunnel allows passenger and freight trains operated by BLS on the Lotschberg line. The tunnel includes a non ballasted track on which trains run at 250kmph.The tunnel construction began in April 2005 and was completed in 2006. It was opened for full scale operations in December 2007. Around 20% of the tunnel was constructed by using tunnel boring machines, and the rest through conventional blasting techniques. Excavated material in the tunnel amounted to 16 million tonnes.The tunnel was designed with twin single track tubes, but it was only half finished as only one of the tubes was fully equipped, while the second tube was left largely as a shell. The two tubes are interconnected by transverse tunnels at 333m intervals. Guadarrama is the longest twin tube rail tunnel in Spain and fourth longest in the world. The 28.4km tunnel is dug through Sierra de Guadarrama mountain range for the high speed railway between Madrid and Valladolid. The two parallel tunnels are 30m apart, measured from their central axes. The tunnel was constructed between 2002 and 2007 using TBMs built by Herrenknecht and Wirth. Spanish state owned company Administrador de Infraestructuras Ferroviarias (ADIF) sponsored the project. FCC Construction built the northern part of the tunnel.The interior diameter of the tunnel is 8.5m, whereas the excavation diameter is 9.45m. Interconnection passages located every 250m connect the two tunnels. An emergency room located in the middle of tunnel accommodates up to 1,200 people. Taihang Tunnel, located in Taihang Mountains in China, is the fifth longest railway tunnel in the world. The 27.8km long twin tube tunnel was built as part of Shijiazhuang Taiyuan railway project to cross the Taihang Mountains. Construction of the tunnel was completed in December 2007. The tunnel passes through Yue Xiao, the main ridge of Taihang Mountains, with a maximum cover of 445m. The left track has a length of 27,839m, while the right track is 27,848m long. The distance between the two tubes is 35m. The tunnel was designed by Poyry. Hakkoda tunnel, with a length of 26.45km, is the longest land based double track railway tunnel in Japan, and sixth longest in the world. It is located in the northern end of Hakkoda Mountain between Tenmabayashi mura and Aomori City in Aomori Prefecture in Japan.The tunnel is part of the Tohoku Shinkansen railway and was sponsored by Japan Railway Construction, Transport and Technology Agency (JRTT). It was built as part of the extension of Tohoku Shinkansen from Hachinohe to Shin Aomori.Tunnel construction began in August 1998 and was completed in February 2005 using the New Austrian Tunnelling Method (NATM). Kajima joint venture built the Otsubo section of the tunnel. The 22km Daishimizu tunnel is the eighth longest rail tunnel in the world. It is located on the Joetsu Shinkansen line in Japan. It reduced the travel time between Niigata and Tokyo to about one hour and forty minutes.Drill and blast excavation methods were used to build the tunnel through the Mikuni mountain range. The steep geography of the location called for the division of construction into six sections by means of access shafts. Evacuation points were created at less than 10km intervals.Natural water was found during the construction of the tunnel. A fire accident also occurred during the tunnels construction, resulting in the death of 16 workers. Wushaoling tunnel, the ninth longest rail tunnel in the world, has an overall length of 21.05km. It is located at Gansu province in China and was constructed as part of the Lanxin (Lanzhou Xinjiang) high speed railway line.Tunnel construction began in November 2002. It was built using the New Austrian Tunnelling Method in a geologically challenging fault zone. Lingyuan Iron supplied 4,360t of steel for the tunnels construction.The tunnel includes two bores separated by 40m. It was bored to a maximum depth of 1,100m. 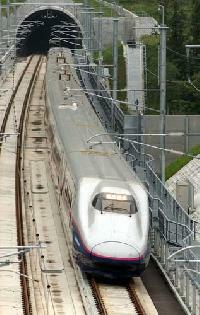 It is designed for a maximum speed of 160km/h. The 20.3km long Geumjeong tunnel is the tenth longest rail tunnel in the world. 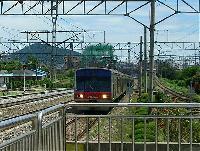 It is part of the Seoul Busan high speed rail line. The tunnel, bored through the Geumjeong Mountain, connects Nopo district with Busanjin station in Busan.Geumjeong is also South Koreas longest rail tunnel. It is located more than 300m below ground. It has a width of 14m and height of 12m. Korea Rail Network Authority owns the tunnel.Construction of the tunnel was carried out in three sections that were fully completed in 2009. The first two sections were opened in 2008. The last section connecting Nopo dong and Hwamyeong dong was completed in February 2009.